Do I Need New Spark Plugs? Vehicle maintenance is important and one part that needs replacing at regular intervals are your spark plugs. Every model has a slightly different recommendation as to when your spark plugs need replacing, but there are also signs that it’s time even if you’ve not reached the tune-up mileage for new spark plugs. If you want to avoid costly engine damage, follow manufacturer guidelines for replacing yours and pay attention to these signs. Most new cars track miles per gallon and most car owners know about how long a tank lasts them. If you haven’t changed your driving habit and you feel like your fuel efficiency has gone down, you might need new spark plugs. 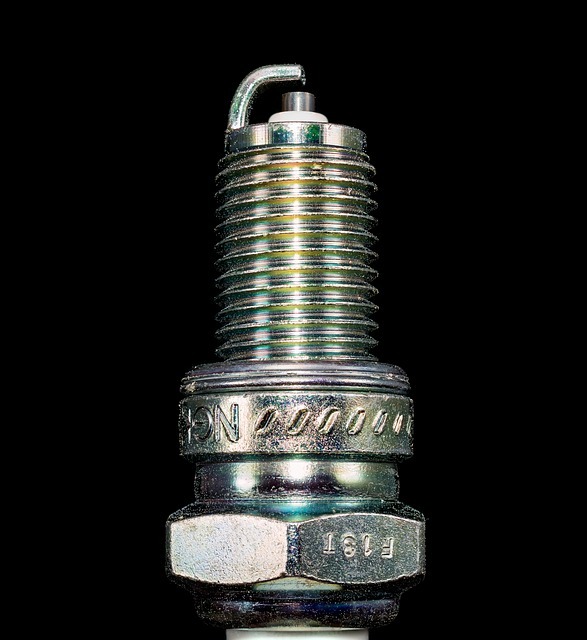 Good spark plugs keep your car burning fuel as economically as possible. We all dread seeing it but it doesn’t mean a death sentence for your car. It may be something as simple as worn out spark plugs. Your auto local repair shop can run a diagnostic and determine if your car’s check engine light is on due to yours. We’ve talked about the toll the hot Florida sun takes on a battery so if you know yours is in good shape but you still have a hard time starting your car, your spark plugs may be to blame. After all, they create the spark the starts and powers your engine. If your car feels different when you’re starting up from a stop, especially if it’s accelerating more slowly, you likely have worn spark plugs. This contributes to the decreased fuel efficiency. Your spark plugs can impact how your engine sounds. If yours suddenly starts idling roughly, you might need to replace yours. Some spark plugs last and work well for up to 100,000 miles but remember to have them checked about every 25-30,000 miles. Your local auto repair shop can measure them and let you know if they’re still operating well. If you don’t have a local auto repair shop you work with, Oldsmar Automotive is happy to provide you with a professional opinion on yours and advise you if you need new spark plugs. Come by our shop conveniently located in Oldsmar at 3166 Tampa Road or call 727-784-3501 to schedule an appointment. Have you taught your child (or almost adult) about the importance of proactive maintenance their car while they’re off at college? Although road services like AAA can help in many situations, teaching your child what to look for before an issue happens is better than them having to react to a problem. If kid knew these five simple car maintenance tips, parents would have fewer big repair bills and our kids would be safer on the road. Sure, money may be tight but do your college students know that leaving their tank nearly empty can negatively impact the engine? If they’re heading north for college, they may not know that when the temperatures begin to dip, condensation can form in the tank which eventually turns to water. Water in your gas leads to big problems. Teach them to keep their tank at least half full during cold snaps. Alternatively in the hot climates, it’s best not to fill up on a very hot day because you’ll actually get less fuel. Air Filters – this is one that should be checked with every oil change and replaced as needed. Brake Services – depending on the car, driving habits, and quality brakes on the car, this varies from 25,000 – 70,000 miles. Teach them the signs that their brakes are worn. According to a survey by The Wall Street Journal, over 50% of teens report they don’t know how to change a tire. Nearly a third don’t know how to check the tire pressure and 44% don’t know the simple trick to check tire tread depth. Teaching your teen this simple bit of proactive maintenance with how to check tire pressure and tread depth will reduce the chances that they have a blow out or accident due to poorly maintained tires. Knowing how to change a tire may save them from sitting on the side of the road until a passing motorist stops to help. We recommend that you bring your car to your local mechanic before you send it and your child off to college. They can make sure that everything looks good before you child leaves. Oldsmar Automotive, located in Oldsmar at 3166 Tampa Road, will perform a complete check and make any necessary repairs or a complete tune up if that’s what’s needed on your child’s car before you send them off to school. Stop in or call 727-784-3501 to schedule your appointment. Some people believe that the only purpose of their shocks is to make the ride smoother. Something seemingly impossible on many of our area roads. However, they do more than just make your car ride more smoothly, they also help you control your vehicle. So, just how do you know it’s time for new shocks. Here are five signs to watch for that may indicate you need new shock absorbers. Although uneven wearing tread can be a sign of poor alignment or that it’s time for a tire rotation, it also can signal that it’s time for new shocks. If your shocks are worn, your tires don’t stay on the road and you end up with uneven tread which increases the chance for hydroplaning, something that’s all too common in our area. Unless it’s a hurricane you shouldn’t feel like your car is being blown around during a windy drive. Of course, high profile vehicles and driving over the Sunshine Skyway are other exceptions, but generally this isn’t something you should experience. It can indicate many problems, one of which is worn shocks. There are two signs of shock absorber issues when you apply your brakes. If you hit your breaks relatively hard and the nose of your car dives down, you likely have an issue. Secondly, if your stopping distance increases over the norm. Of course, this can also signal an issue with your breaks or tires but it is a sign of worn shocks. It’s true that you may feel the road vibrations in your steering wheel when you’re going over an unpaved surface but you shouldn’t always feel it. If you ever feel vibrations while driving on the highway, get your shocks checked immediately. You may not be able to control your car if the vibrations are too intense. Yes, there are a lot of potholes around but you shouldn’t feel every one. Your shocks are essentially springs for your car and they should absorb all but the largest of bumps in the road. A good way to test this is an issue for you is to press down on the hood while your car is parked and let go. If it bounces more than a few times, you should contact your local auto repair shop for a professional assessment. If you don’t have a local auto repair shop you trust for new shocks, call Oldsmar Automotive at (727) 784-3501 for an appointment. 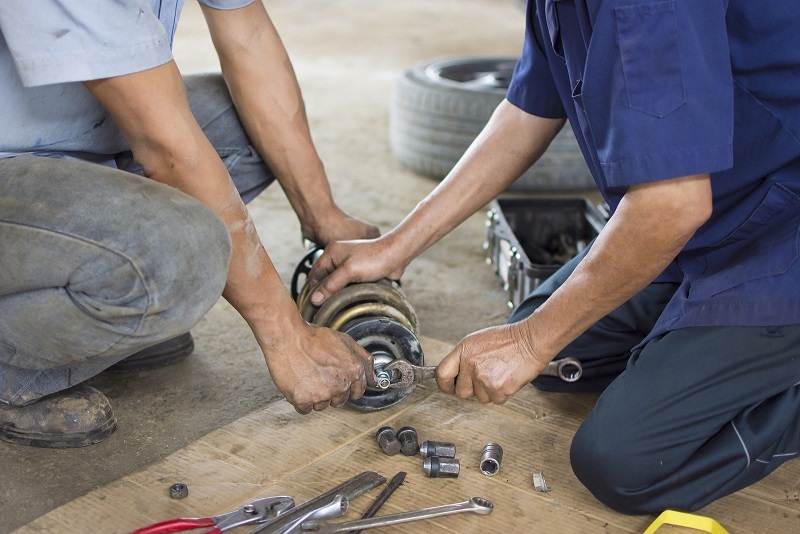 We’re conveniently located at 3166 Tampa Road in Oldsmar and can assess and replace your shocks as well as perform other routine service or auto repair necessary. According to the Guinness World Records, the most miles driven in a single car by one owner is over three million miles! 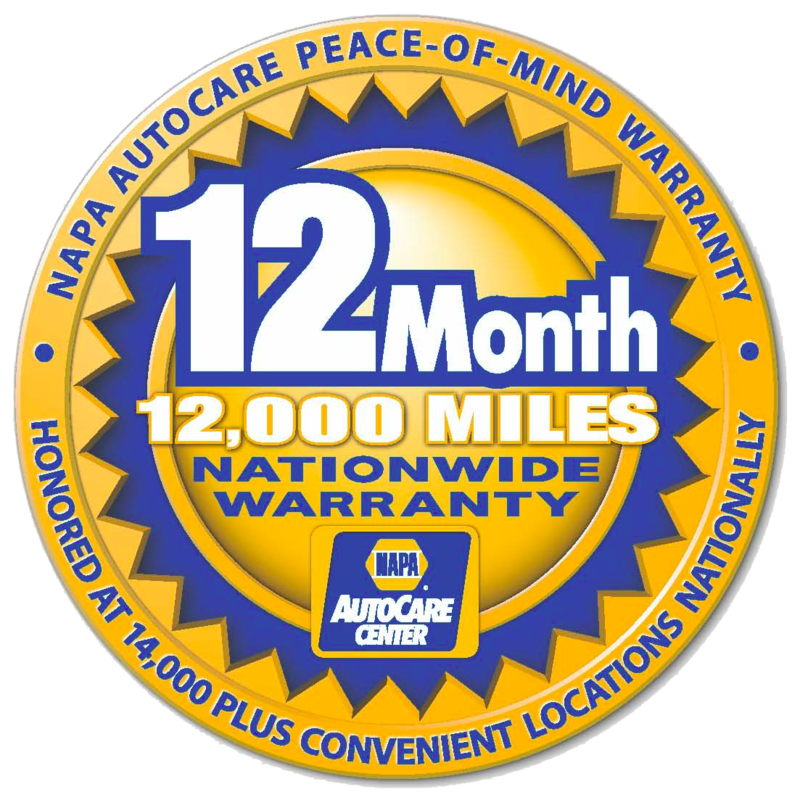 You may not plan on putting that many miles on your car but with regular preventative maintenance, you could. You maintain your home, why shouldn’t you maintain your car? 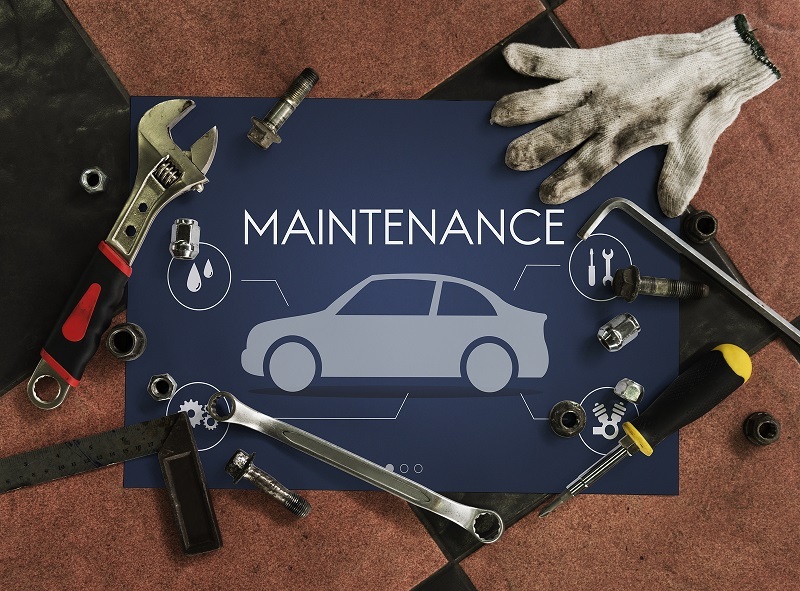 Preventative maintenance includes what we often refer to as tune ups ad well as oil changes, and regular tire rotation. 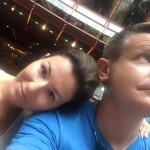 Here are why these are important. A tune up helps keep your engine running at an optimum level. Your car make, model, and year will determine the tune-up schedule. Check your owner’s manual for the recommendation. Remember, the people who engineered your car, wrote the manual and they know what’s best for it. Most cars have a recommendation for new spark plugs, belts, hoses, struts, filter changes, and flushing out old fluid several times over the life of the car. This keeps the engine running at maximum efficiency and helps ensure you don’t end up on the side of the road stranded. Oil changes keep your engine healthy. Frequency depends on your vehicle and how you drive. New cars have a recommendation of around 5,000 miles. However, if you drive in a lot of stop and go traffic or on frequent short trips, or tow a camper to trailer regularly, you may want to consider more frequent oil changes. Read your owner’s manual for their recommendation and check your oil regularly as you near the time for a change. Checking your oil is easy and is something you should do several times between oil changes. Remember that your oil keeps your engine parts protected against damaging friction and excessive heat. Rotating your tires not only helps your tires last longer but your car performs better as well. If you’re rotating your tires at home, you’ll also want to check the tire pressure as proper pressure also extends their life. A benefit to properly inflated tires is better gas mileage. You should also have your alignment checked at least once a year. It will contribute to better gas mileage, a smoother driving car, and longer lasting tires. 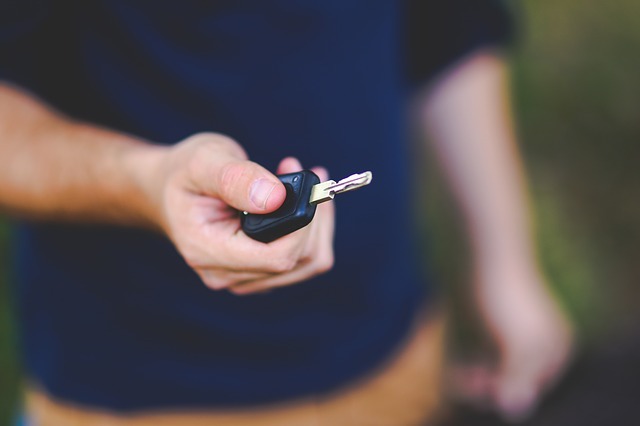 Oldsmar Automotive can partner with you on your car’s preventative maintenance. We always follow the manufacturer recommendations for each individual car. Use our easy scheduling tool or call us at (727) 784-3501 to schedule your tune up, oil change, tire rotation, or any other service you need today. There are few more frustrating experiences than a car that won’t start. The fear of what it’s going to cost to repair and of being late where ever you need to be combine to elicit quite the panic in most people. One of the, thankfully, least expensive reasons a car won’t start happens in the heat of the summer more than any other time of year. It’s a dead battery. Heat shortens the battery life. A battery contains liquid. When your car is left in the hot sun, even though the battery isn’t receiving direct sunlight, the liquid in the batter will evaporate. Once the battery’s liquid gets too low, the battery will fail. There isn’t much that you can do to prevent the drying up of the battery. Most batteries sold today are sealed and don’t require topping off that older batteries did. On average a battery should last about five years. There are a few things you can do to maximize its life. Clean it – Occasionally cleaning the terminals on your battery and the tops and sides will help your battery function well. Avoid short trips – Batteries need time to recharge and your alternator does that during a drive. Several short drives will not give your battery time to recharge and if you let it sit after those quick trips, it may not start. Unplug things – if you have lots of devices plugged into your car, they will drain your battery. If you’re not driving it and they don’t need power, unplug them to reduce drain. Find shade – Shade will reduce the heat strain on the battery. It won’t prevent a battery from draining and dying but will help extend its life. The next time you have your car serviced, ask your technician to check the battery. They can determine if it is well charged or if it’s close to dying. They can also check your electrical system to make sure it’s charging at the correct rate. If you think you need a new battery or wonder if its your alternator not properly recharging your battery, stop by 3166 Tampa Road, Oldmsar or schedule and appointment by calling (727) 784-3501. The professionals at Oldsmar Automotive will check your battery and let you know where your issue is coming from and propose a repair or replacement.